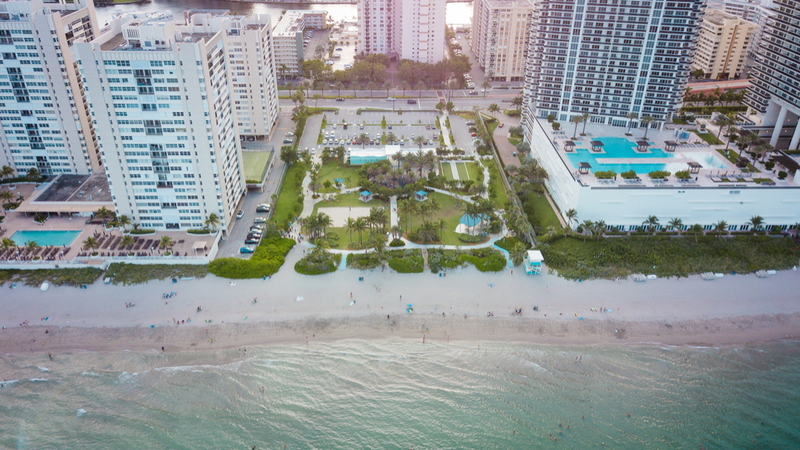 Conveniently located between Fort Lauderdale and Miami, the charming community of Hallandale Beach is chic and relaxing. Sunny days and ideal temperatures are perfect for year-round sporting activities, ranging from tennis and golf to salt-water fishing and swimming. The Village at Gulfstream Park packs in non-stop entertainment with a world-class racing track, casino, weekly live music, high-end shopping, bowling alleys, and so much more. For a more relaxing day, play 18 holes of championship golf or stroll through one of the renowned art galleries before indulging in an international array of delicious dining options. You'll never be bored in Hallandale Beach. What to buy: Explore The Village at Gulfstream Park with world-class art galleries, stylish boutiques, and premier home design stores.